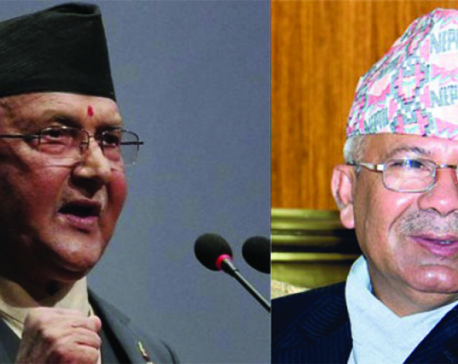 DANG, Oct 23: Senior leader of the ruling Communist Party of Nepal (CPN) and former Prime Minister Madhav Kumar Nepal has clarified that there was no misunderstanding and difference between party chair and Prime Minister KP Sharma Oli and him. 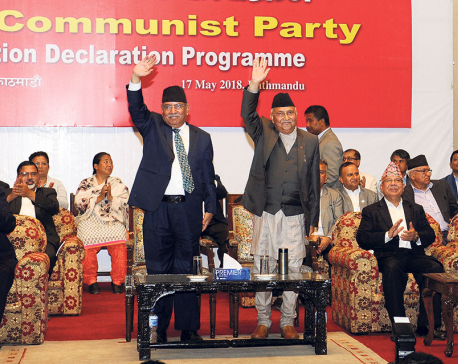 Speaking in a greeting exchange program here Tuesday, leader Nepal said the misunderstanding between them as reported in the media was baseless. He also expected a constructive opposition role from Nepali Congress. Similarly, leader Yubraj Gyawali said that the communist government in Nepal was inspirational to the entire world.